Take a look at an inventive compost collection program that keeps food and paper items out of landfills, and a Choose to Reuse initiative virtually eliminates waste from take-out containers, and you’ll see why Clark won MassRecycle three consecutive years. “If it was ever alive, you can compost it” — Clark Composts! One of very few colleges in the nation to be so bold, Clark rolled out an innovative compost collection program in Johnson-Sanford, Wright, and Dodd Halls in Fall 2013. The program was so successful (with over 700 student signatures in support), that is has been expanded to all 9 residential halls by 2015! Only Blackstone is not included in the compost collection program. Residential Life, Physical Plant, Sustainable Clark, Clark Composts! and the Recycling Crew partner to collect and divert all compostable items in these halls. Food items and paper towels that previously went to landfill can now be composted right in the dorms. Funding for this dynamic student-designed program is from the SSF. Clark Composts! Guidelines outline the huge variety of items that can be composted. Why add to landfill?? Why? Compost or recycle it! Over 60 Tons Diverted from Landfill: The wildly popular student-run Community Thrift Store, now in its eighth year, was founded by students to reduce move-out waste and provide a sustainable, affordable shopping alternative. The Thrift Store has now collected approximately 60 tons of donations from end of semester move-out — perfectly good items that were then resold at reasonable prices to Clarkies and members of the surrounding community at affordable prices. The Thrift Store is managed and operated by students. In spring of 2014 the Thrift Store had to close suddenly due to structural safety issues with the church next door. The Community Thrift Store re-opened in Fall 2014 at 930 Main St. next to Acoustic Java, with a new look and an improved selection of quality items. The mission of the Store remains the same: Save, grow & give. Together. Already providing sustainable, compostable cardboard and starch-ware take out containers, Dining Services has gone further with Choose to Reuse Green2Go. No more waste from take-out containers! For only $5, you are provided with a large, reusable container for take out food. Bring the container back and exchange it for a clean one, filled with your favorite take-out! Dining Services will clean and exchange the Green2Go’s for most Bistro items and even in Higgins Cafe! Lean Path, a revolutionary software program to monitor pre-consumer food waste in the preparation of cafeteria food, has been operational since 2013. In the first year with Lean Path, Clark Dining Services kitchen managed to reduce waste by almost 6 tons! In 2013 Clark won MassRecycle ‘Best Student Effort’ among Massachusetts colleges and universities for its innovative and successful dorm composting program! A collaborative effort two years in the making, the state agency was so impressed that they created a category to showcase Clark’s achievement. In 2012 Clark was recognized by the DEP’s MassRecycle for its student Recycling Crew and their partners in Physical Plant, the Thrift Store, and Sustainable Clark: recycling rate of 30%; diversion rate of 50%; waste decreased by 50 tons! ( Clark placed third in the state behind Harvard and Tufts Universities – not bad company, considering the resources those two giants ‘throw’ at managing waste!) In 2011 Clark Dining Services was awarded first place for its effective composting program in Higgins Cafeteria, averaging 200 tons of waste diverted to compost per year. 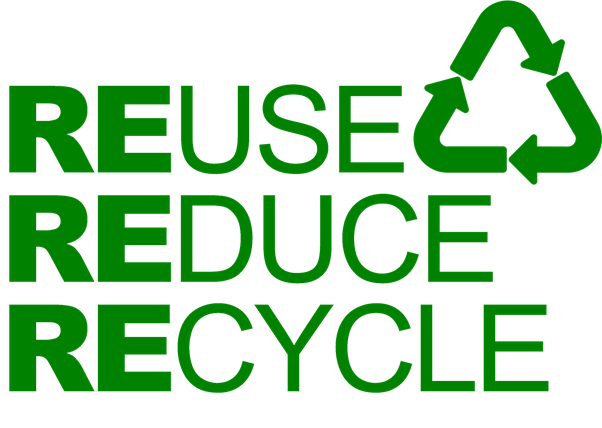 Clark’s 2017 recycling rate was 36%, a huge increase from baseline 19% in 2011! Our 2017 diversion rate (recycling + compost + other diverted streams like electronics or donations) was 58% compared to 2011’s baseline of 40%. Awareness, effort of the Clark Recycling Crew, and hundreds of new recycling bins throughout campus make it easier for the Clark community to recycle paper, all plastic #1-7, glass and metal. CU Student Council loaned money to the Recycling Initiative of the CSC, and several SSF-funded student projects have added to Clark’s bin capacity. Bins for batteries, compost and Thrift Store donations are in prominent campus locations; even mattresses get recycled at Clark! Now it’s your turn: Re-Imagine, Reduce, Reuse and RECYCLE! We got down and dirty with your garbage in October 2012. Volunteers from Eco Reps, Recycling Crew, the Clark Sustainability Collaborative and Residential Advisors weighed and sorted one day’s worth of garbage collected from all Residential Halls. Let’s move that 24% recyclable materials from landfill to the recycle bins! *The protocol for waste audits requires that items are weighed rather than counted. Consider that an empty plastic bottle weighs very little, while half a pizza weighs much more. Since Clark does not collect compost in the Halls, that category says more about patterns of consumption and food waste than anything else. SSF has awarded funding to begin a Hall composting program based on a pilot. Students and Recycling Crew members Lorelei Obermyer ’13 and Heather Mackenzie ’12 researched and compiled nine years of Clark’s waste and recycling data to fulfill the EPA’s requirements to be a WasteWise partner. Among other benefits, the system’s WARM calculator converts volumes of different items recycled into greenhouse gas equivalencies incorporating full life cycle analysis. For example, the paper we recycled in 2011 equaled the carbon sequestration capacity of 5,963 trees over ten years. Clark’s total recycling volume in just 2010 and 2011 reduced greenhouse gas emissions by almost 1,500 tons of CO2!